Keeping the peace on Earth isn't going to be easy, so you'll need to gather a well-rounded team of heroes to increase your odds of success. Be ready at any moment with this Overwatch Pop! Key Chain at your side. 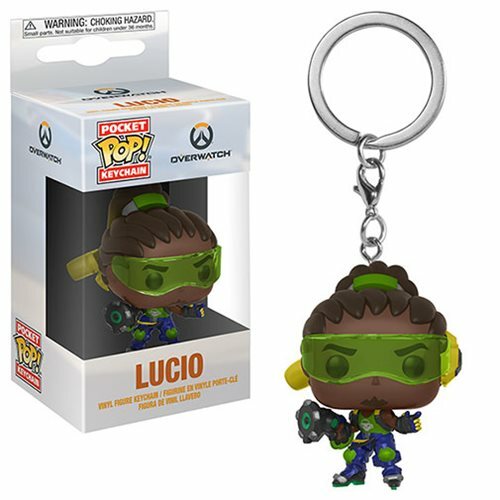 The Overwatch Lucio Pocket Pop! Key Chain measures approximately 1 1/2-inches tall and comes packaged in a window display box. Ages 3 and up.